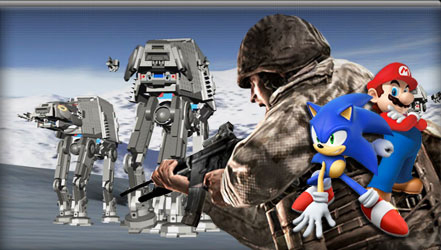 The greatest year in the history of games continues this week with the release of Call of Duty 4: Modern Warfare, LEGO Star Wars: The Complete Saga, and Mario & Sonic at the Olympic Games. Also making a splash this week is the PC arrival of Gears of War and Aqua Teen Hunger Force: Zombie Ninja Pro-Am. Are you grabbing any of these this week, or are you holding out for something more grand? Let us know what your plans are below. Read more for the entire listing.